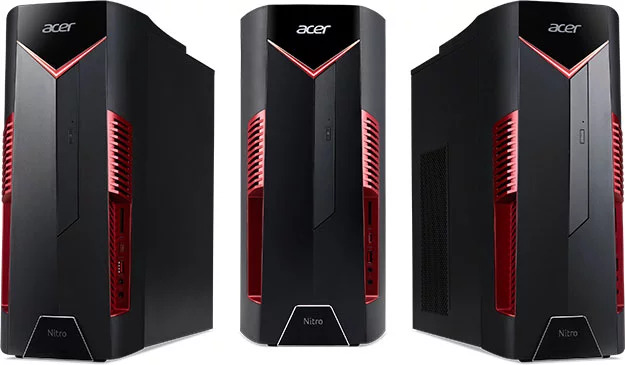 Acer Slovakia seems to have published the details of the Nitro 50-100 gaming desktop tower that features the AMD Ryzen 5 2500X processor. The Ryzen 5 2500X and the Ryzen 3 2300X were not mentioned during the Ryzen 2 unveiling making this the first official appearance of the CPU. Looks like we might get to see the AMD Ryzen 5 2500X in action after all. 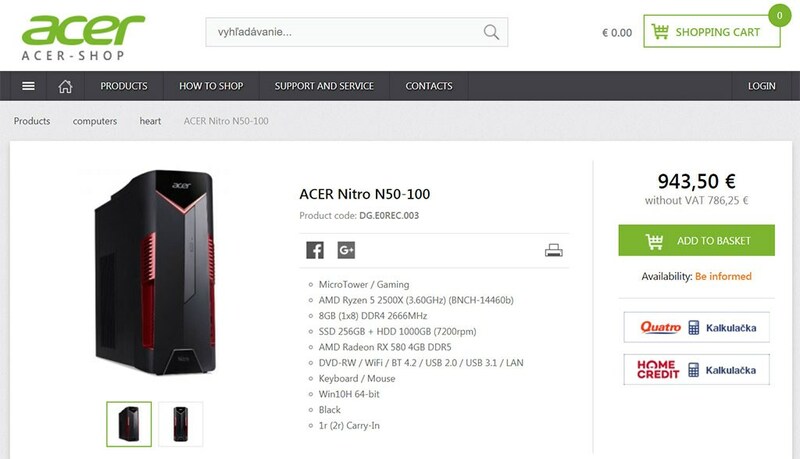 The revelation comes in the wake of Acer Slovakia listing the Ryzen 5 2500X-powered Nitro 50-100 gaming tower on its website. The CPU was not formally announced during the Ryzen 2 unveiling in April this year but we've seen a few benchmarks pointing to the existing of the Ryzen 5 2500X and the Ryzen 3 2300X. The Nitro 50-100 desktop seems to sport decent specs for the asking price of ~US$1,100. There is 8 GB of DDR4 2,666 MHz RAM onboard along with a combination of a 256 GB SSD and 1 TB HDD. An AMD Radeon RX 580 4 GB DDR5 GPU provides the graphics horsepower. The PC also comes with the usual fare of Wi-Fi, Bluetooth 4.2, USB 2.0 and USB 3.0 ports, and a LAN port. The interesting part of the entire setup is of course, the AMD Ryzen 5 2500X CPU. The Ryzen 5 2500X is a 65W 4C/8T part with a base clock of 3.6 GHz and turbo clock of 4 GHz or more (depending on the cooler). Recent Geekbench scores seem to put it in the same league as the Intel Core i7-7700. The processor is expected to deal at around US$150-160. There is also a Ryzen 3 2300X part with 4C/4T having a base clock of 3.5 GHz and turbo clock of 4 GHz that is expected to retail between US$120-140. The minimal price difference between both these SKUs means that the Ryzen 5 2500X can turn out to be very popular among mainstream gamers. AMD is yet to officially announce the Ryzen 5 2500X and the Ryzen 3 2300X SKUs but we can expect an announcement by the end of this month alongside the B450 chipset.